The MPI European Meetings & Events Conference (EMEC) 2015 yesterday (2 February) saw MPI members dine 135m below ground level at the Wieliczka Salt Mine and the first of a host of educational sessions. 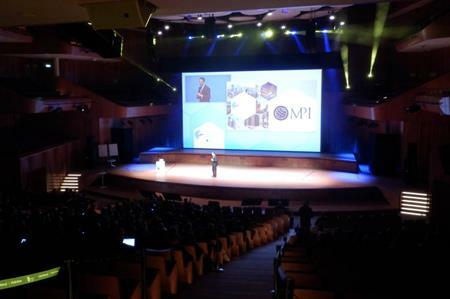 More than 350 MPI members from the UK, North America and Europe have travelled to the ICE Congress Centre in Krakow, Poland for MPI EMEC 2015, which began yesterday with an opening session that saw master of ceremonies and BBC broadcaster Dave Sharpe and CEO of Tomorrow Mike Walsh address the audience. Once the opening proceedings had come to a close, delegates took the short journey to the Wieliczka Salt Mine for a tour of the UNESCO World Heritage Site, which sits more than 135m below ground level. 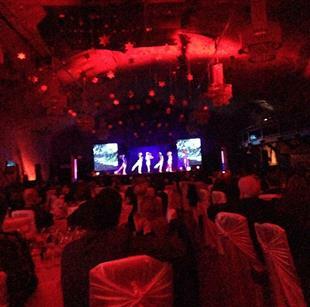 A gala dinner followed in the mine's underground chamber. The conference continued today (2 February) where the first of many campfire sessions, educational sessions and keynote speeches began, with content surrounding a host of topics including leadership, key industry trends and event technology. Earlier today, FreemanXP's Jane Baker revealed the key trends shaping the events industry in 2015, which included the TED factor and the power of the audience. MPI EMEC continues today and will come to a close midday tomorrow when the host venue for next year's conference will be revealed.